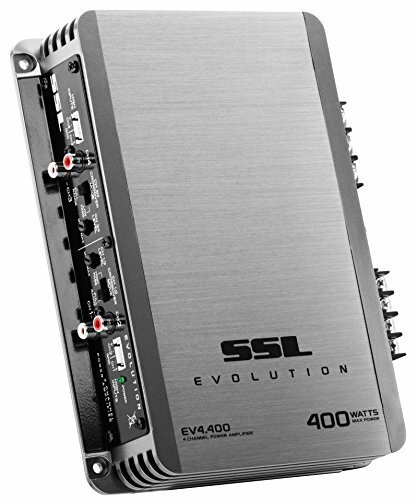 Get crystal clear sound with the Sound Storm Evolution EV4.400 4-Channel Class A/B Full Range Amplifier. This 2-Ohm stable Amplifier features 400 Watts Max Power and Fixed Low and High Pass Crossover to rock your tunes. With clean lines and simple, subtle styling, Evolution Amplifiers offer big performance and mobile audio excellence. Shift your music up a gear with the Sound Storm EV4.400 For more product details, please scroll down. Dimensions: Depth 7.5" x Width 9" x Height 1.8"